Below, we will highlight the performance of the top five bowlers in the six tournaments played so far. Muttiah Muralitharan is the highest wicket taker in the above tournaments, he played 17 matches and grabbed 24 wickets at an awesome average of 20.16 runs per wicket with the best of 4-15. The 41-year-old right arm off spinner, took retirement from international cricket but he had been impressive throughout his career with the art of superb off spin bowling. The best bowling figures of 4-15 in 5.3 overs of Muralitharan was recorded against the Netherlands in the ICC Champions Trophy- 5th match. It was played on September 16, 2002, at R Premadasa Stadium, Colombo and was won by the hosts with a huge margin of 206 runs and gave them two vital points. 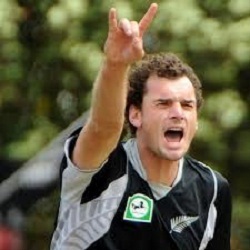 Kyle David Mills took part in 12 matches and grasped 22 wickets at an excellent average of 19.09 with the best of 4-38. The 34-year-old right arm pace bowler produced his best bowling figures of 4-38 in 10 overs vs. Australia. The first semi final of the ICC Champions Trophy 2006-07 was played on November 1, 2006, at Punjab Cricket Association Stadium, Mohali, Chandigarh and the Kangaroos won it by 34 runs. Brett Lee has played 16 games and secured 22 wickets averaging 26.86 with the best of 3-38. The 36-year-old right arm fast bowler opted for retirement from international cricket and carried the best bowling figures of 3-38 vs. New Zealand. The ICC Champions Trophy match was played on September 15, 2002, at Sinhalese Sports Club Ground, Colombo and Australia clinched it with a mammoth margin of 164 runs. Glenn McGrath took part in 12 matches, held 21 wickets at an average of 19.61 runs per wicket with the best of 5-37. The 43-year-old devastating right arm quick bowler has also taken retirement from international cricket and took 5-37 after delivering just seven overs against New Zealand on September 15, 2002. It was the same match which is mentioned above where Lee got 3-38 and both bowlers won the match for their country. 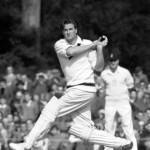 Glenn McGrath was announced ‘Player of the match’ for his lethal bowling spell in the encounter. 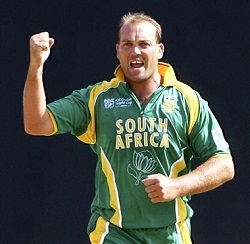 Jacques Kallis played 17 matches and got 20 wickets averaging 26.25 with the best of 5-30. 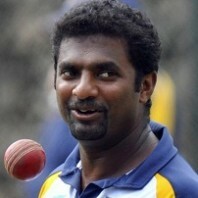 The 37-year-old right arm medium fast bowler produced his best bowling spell of 5-30 in 7.3 overs against West Indies. The final of the Wills International Cup – 1998, was played on November 1, 1998, at Bangabandhu National Stadium, Dhaka, where The Proteas won by four wickets and Kallis was declared ‘Player of the match’ and ‘Player of the series’.